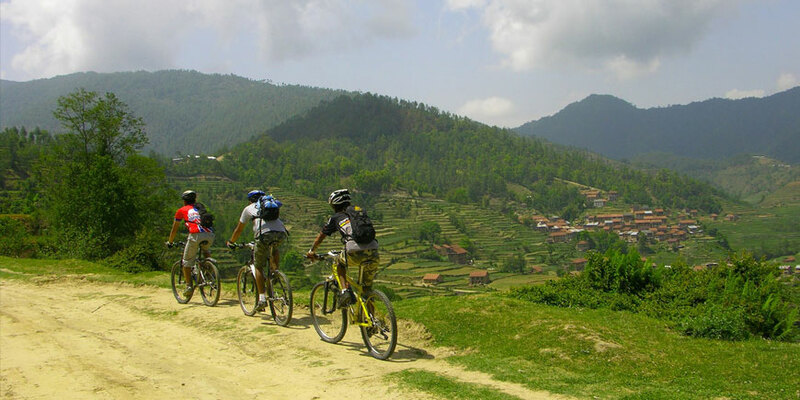 The Kathmandu valley offers some great mountain biking trails. 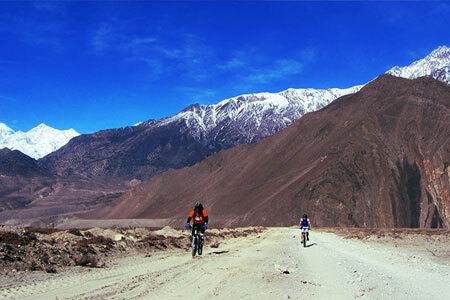 We travel along little-used dirt roads away from the hustle and bustle of the city. 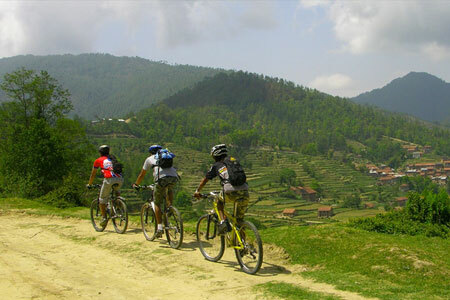 Only a short bike ride away lies a delightful world of wooded slopes, small villages, hidden temples and the views which include all of the principal peaks of the Nepal Himalaya - from eastern part to the mild west providing some excellent, easy to semi - technical single track riding along old jeep roads. Throughout the trip, we will experience all of the sights, sounds, tastes and smells that make up life in Nepal's 'Middle Hills'. We will visit the historic cities of Basantapur, Bhaktapur and Patan; Nagarkot with its sunrise view of the entire Nepal Himalaya and the temples; monasteries and picturesque villages tucked away in the forests along the way. We are so close to the chaos of Kathmandu, yet so far off the beaten tourist trail. This is a fun but challenging trip, suitable for those with some off-road biking experience, since a couple of trails are technical. Day 01: Arrival in Kathmandu airport (1350 meters).